For an airline, providing premium in-flight catering services is a complex process involving collaboration among various stakeholders like the caterer, suppliers, and sub-departments to ensure that the right meal is served to the right passenger on every flight but practically airline catering departments face critical challenges while finding ways to uplift their operational and service levels. 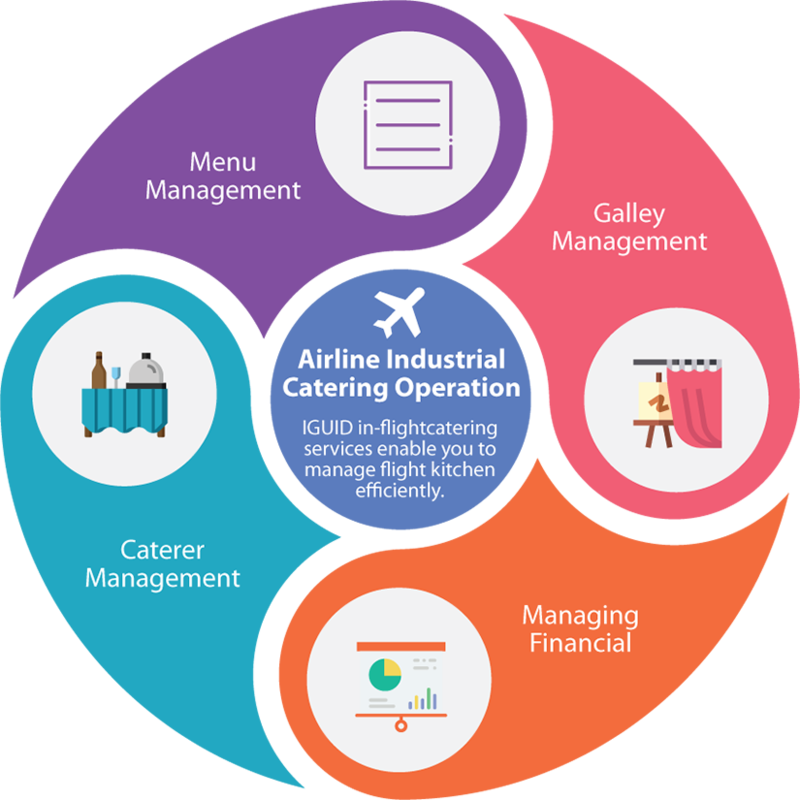 iGUID in-flight catering services enable you to manage flight kitchens efficiently. critical customer complaints and onboard service violations to maintain extremely high-level security. Centralised in-flight catering solution enables airline planners and decision makers to respond quickly to operational changes.